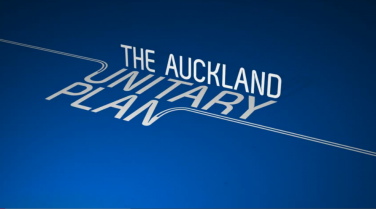 The staff recommendations to Auckland Council concerning the proposed Unitary Plan are now publicly available in advance of the Auckland Development Committee meeting that starts tomorrow. Mostly the terms of the draft plan provided by the Independent Panel are accepted. There are however 63 proposals which staff are recommending changes to. One involves retention of regional policy statement provisions relating to sites and places of value to Mana Whenua. Currently if work is anticipated close to a place of value then further work is triggered. If these are deleted then there is the risk that places of value to Mana Whenua may be adversely effected. Another that will attract attention is that the pre 1944 demolition control overlay be deleted. The overlay required that some assessment be performed before a house with potentially significant historical significance could be demolished. Staff agreed with the proposal to delete the overlay on the basis that 500 properties of potential heritage interest should be assessed properly by 2017. Staff recommend that a similar pre 1940 overlay in the Queen Street valley area is retained. Locally there are three matters of concern. It is very disappointing that staff are proposing that the Independent Panel’s recommendations not be changed. The first is the decision to locate the rural urban boundary at the district plan level. The effect of this is that anyone, rather than only Council, can initiate a plan change. There will be all sorts of hoops to pass through but the likelihood is there will be more urban sprawl if this is passed. The second is the confirmation that three properties be moved to the urban side of the RUB. I have some sympathy with this proposal, particularly that involving CDL land near Swanson railway station but the whole purpose of the Heritage Area Act is to stop this sort of incremental change from occurring. The third and most problematic is the change from prohibited activity status to non complying activity status for non qualifying subdivisions in the Ranges area. I have written about this before. The reason for prohibited activity status is that it presented a hard line preventing further subdivision and fragmentation from occurring beyond that currently allowed. If this is changed to non complying status then there will almost inevitably be more subdivision occurring even though the draft plan notes that the prospect of further subdivision in the area is limited. Provisions protecting the Heritage Area are retained and will achieve the purpose and objectives of the Waitakere Ranges Heritage Area Act 2008. Saying that something is so does not necessarily mean that it has actually been examined. And increasing the possibility of subdivision in the heritage area does not appear to be the most appropriate way “to protect, restore, and enhance the area and its heritage features” or “to recognise and avoid adverse potential, or adverse cumulative, effects of activities on the area’s environment (including its amenity) or its heritage features” or the requirement that any development “does not contribute to urban sprawl”. I would love for the Waitakere Ranges Local Board to be able to attend to make these points to Auckland Council. But the Council has made a determination that it will not hear from local boards even though this conceivably breaches section 148 of the Local Government (Auckland Transitional Provisions) Act 2008. There is a requirement that the Council not consider any submission or other evidence unless it was made available to the Hearings Panel before the Panel made the recommendation that is the subject of the Council’s decision. But the Waitakere Ranges Local Board made a submission to the Hearings Panel which addressed subdivision. We expressed a strong preference that the wording of the plan be as strongly protective as possible. So it would appear that the Council is not disqualified from hearing further from the local board. Given that the local board is responsible and democratically accountable for identifying and communicating the interests and preferences of the people in its local board area in relation to the content of Auckland Council’s plans this is something that we are considering taking further.